USA1 offers both chrome and painted gas caps to fit most truck models. Its common that these Blazer or Jimmy filler neck covers took alot of abuse and need to be replaced when doing a restoration. If yours is rusted or dented its a good idea to replace it with a reproduction that was made to the original mold for proper function and easy installation. These are sold without the seal so remember to purchase them together. 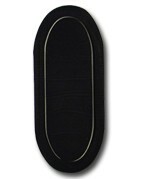 USA1 Industries offers a high quality 1973-91 Chevy & GMC Blazer Filler Neck Cover Gasket. So if you need to replace it all together stop by the #1 Chevy Truck Parts Dealer USA1 Industries. Rubber hose that connects metal filler neck to the gas tank for Fleetside Trucks only. 1979-81 Fullsize Chevy & GMC Truck Gas Filler Neck Hose. Can be used for the passenger or driver side gas tank necks. We off this replacement fuel tank filler neck to install on that great pickup of yours. This neck is meant for models that only used unleaded gasoline.